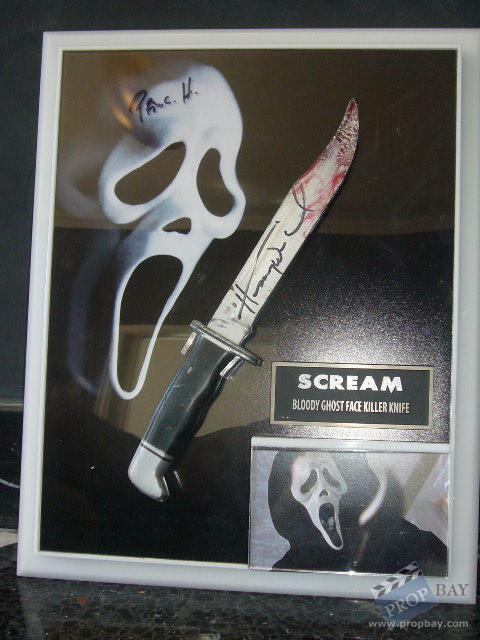 This Amazing ghost face Bloody stunt knife was made for use during the Original "Scream", and subsequently re-used on Scream 2 and 3. 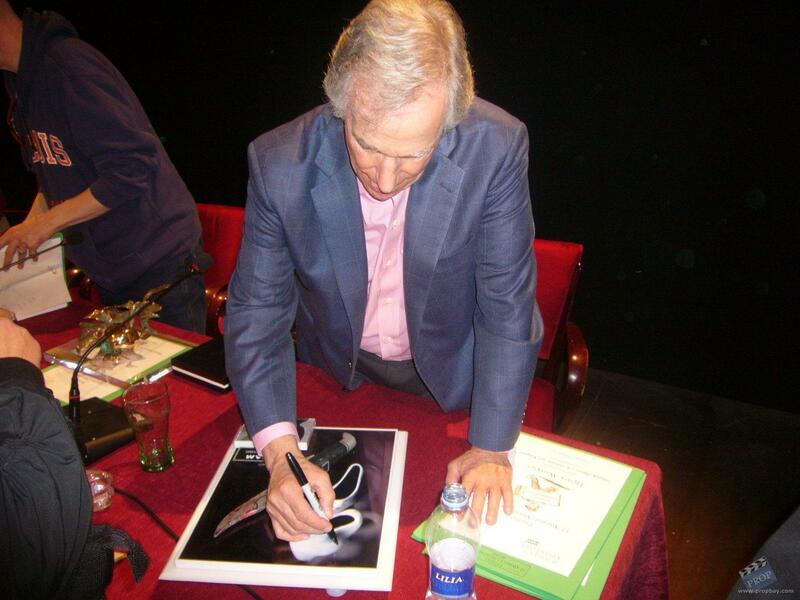 This rare item was obtained as part of a "lot" straight from Miramax.Signed by Henry Winkler as Principal Himbry .Principal Himbry is the principal of Woodsboro High School, attended by Sidney Prescott and her friends. 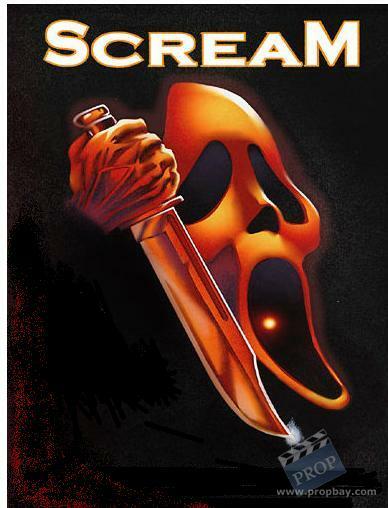 While in his office, he is attacked by Ghostface and stabbed repeatedly before dying. Happy to have knife signature by Winkler!! Added: 05-26-2013 - Viewed: 2665 times. Nice! 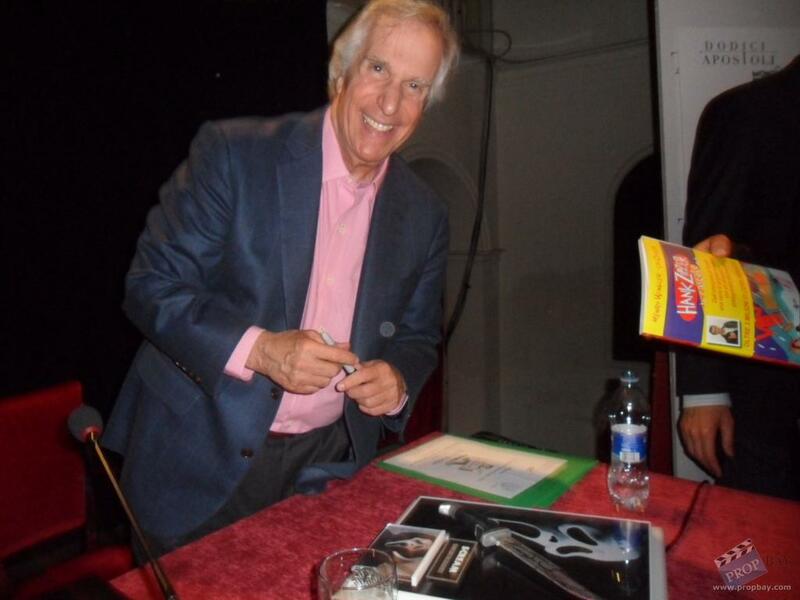 Henry Winkler is the coolest headmaster of all. Great you could have it signed.